Do you know that your Home directory in your Linux system contains a lot of hidden files and folders? Here are some of the uses of the hidden files in Linux. For those who need to access the hidden files frequently in OS X, here is a way to add a keyboard shortcut to quickly reveal hidden files in OS X. There are many reasons to expose hidden files and a few ways to turn them on and off. In this article, we will cover the simplest ways. 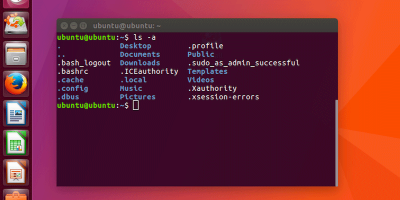 If you have upgraded your Ubuntu and found that when you open the Nautilus File Manager, all the hidden files are visible, then here is the fix.